This new yarn is a test project from Kauni. It is only available in EQ at this time, and has no set tension. 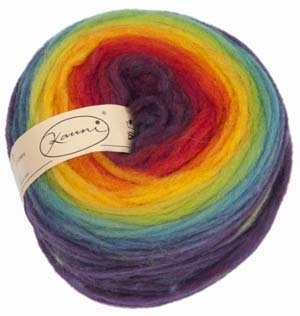 It is a unspun roving yarn that can be knit or needle felted.